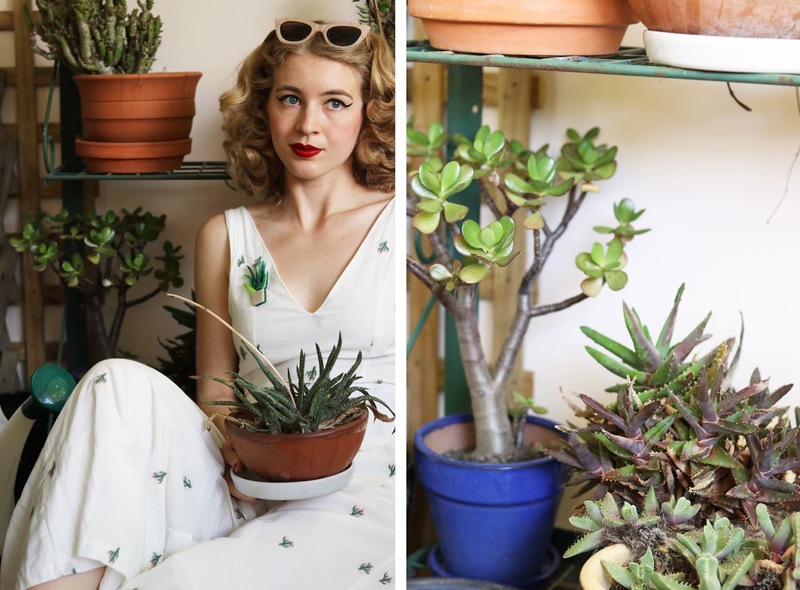 Flowers and Houseplants?! I love them and I love Erstwilder even more for giving us this beautiful collection. 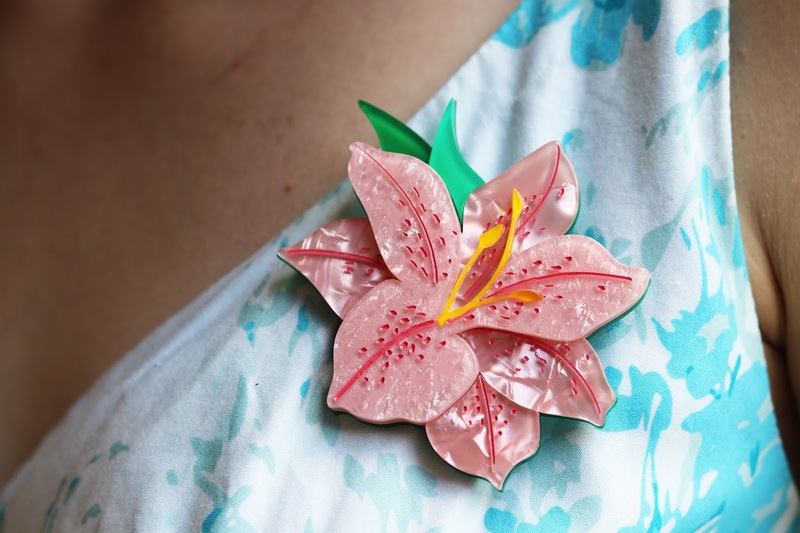 Check out my post to see four brooches that I am featuring from the In Full Bloom range. Hydrangeas have to be one of the loveliest flowers and I love when I see them in gardens. Blue hydrangeas are my favourite as blue is one of my favourite colours. I was very excited when I first saw this brooch, it is beautiful in photos but even more beautiful in person. 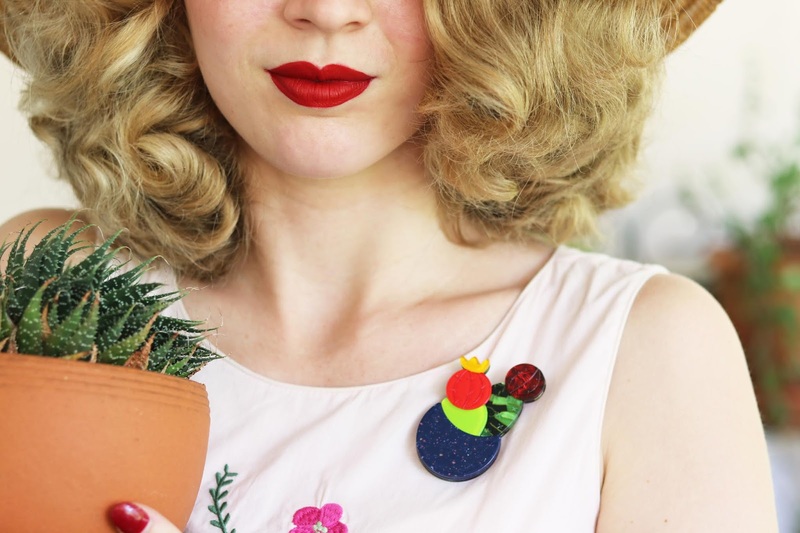 I made my dress just in time to shoot some images with the brooch, nothing like a bit of express sewing... I just really love to match things sometimes haha. Another beautiful flower, which is both gorgeous in colour and detail. 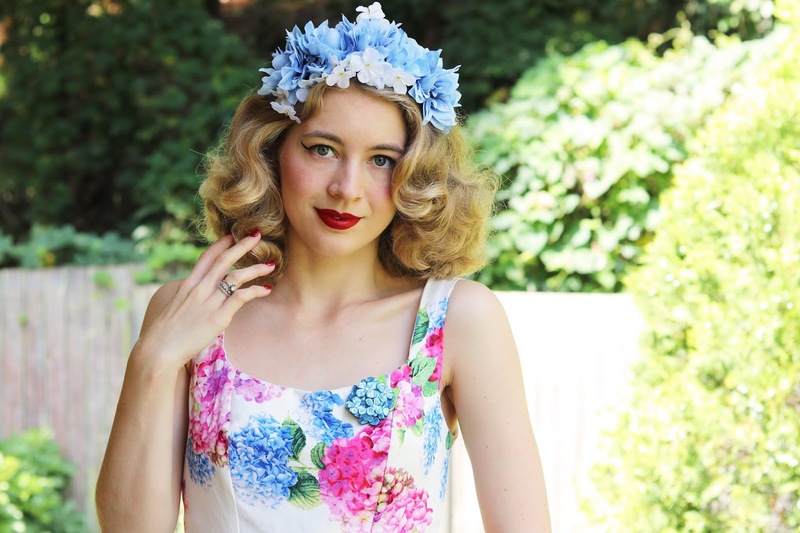 I love pairing blue and pink together so I instantly thought of this summer dress. 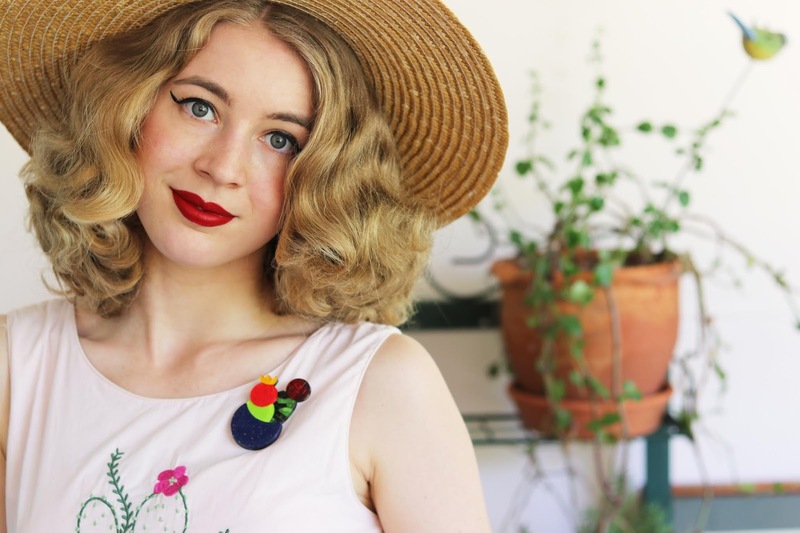 This is such an elegant brooch that will go with a range of looks in my wardrobe. 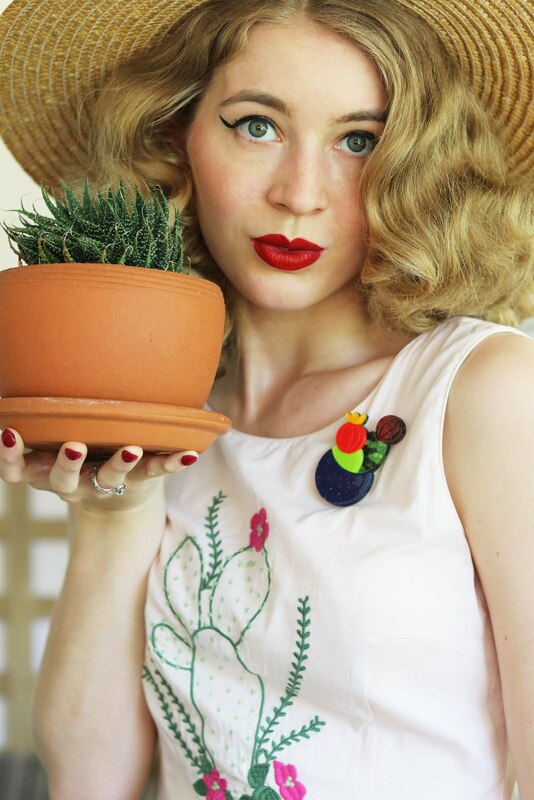 I am obsessed with cactus everything so I needed this brooch. I love that it looks different to typical cacti everything at the moment. 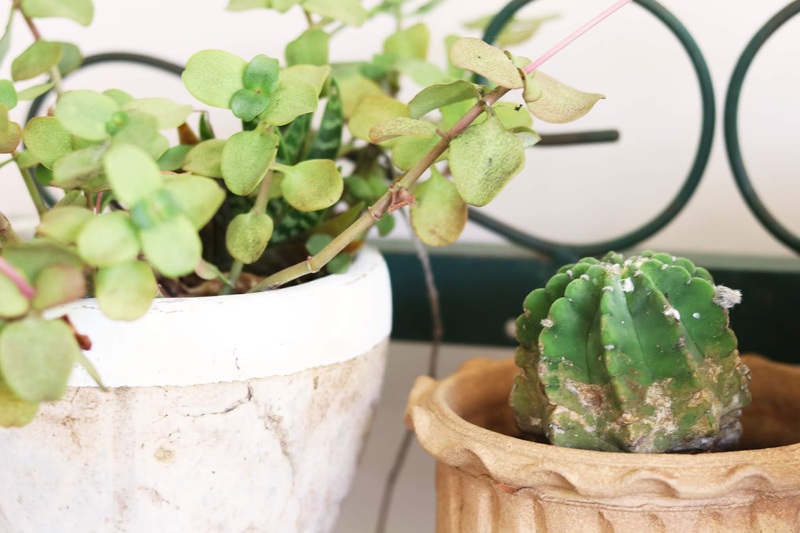 The colourful blooming cactus in a blue speckled pot is refreshing and fun. 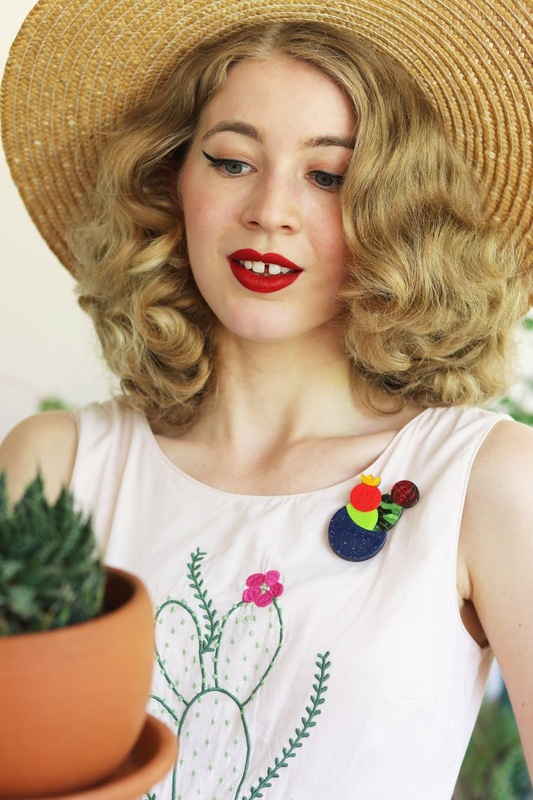 I wouldn't have thought that this brooch would look good on pale pink but it just goes to show that you can try almost everything with Erstwilder brooches and I think it looks great with this pale pink backdrop with embroidered cactus (of course)! 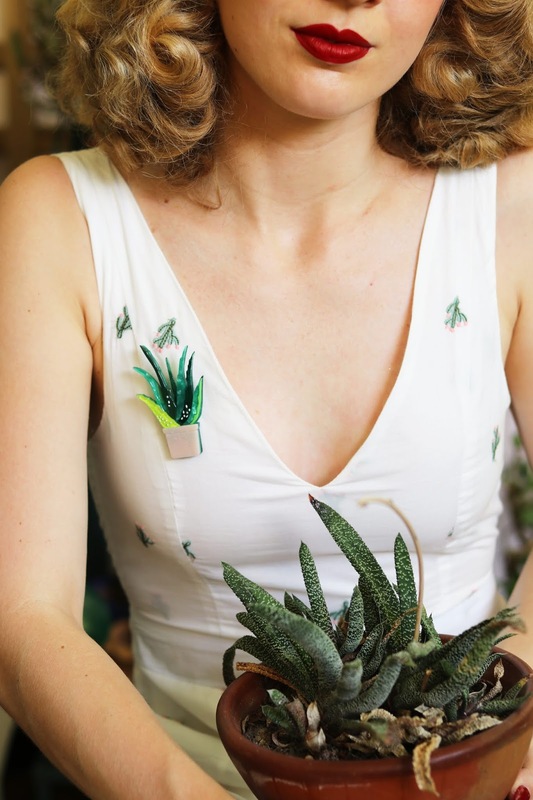 This brooch is is probably my favourite of the four though and I didn't expect it to be. I knew it was going to be really cute but the more I look at it the more I love it. 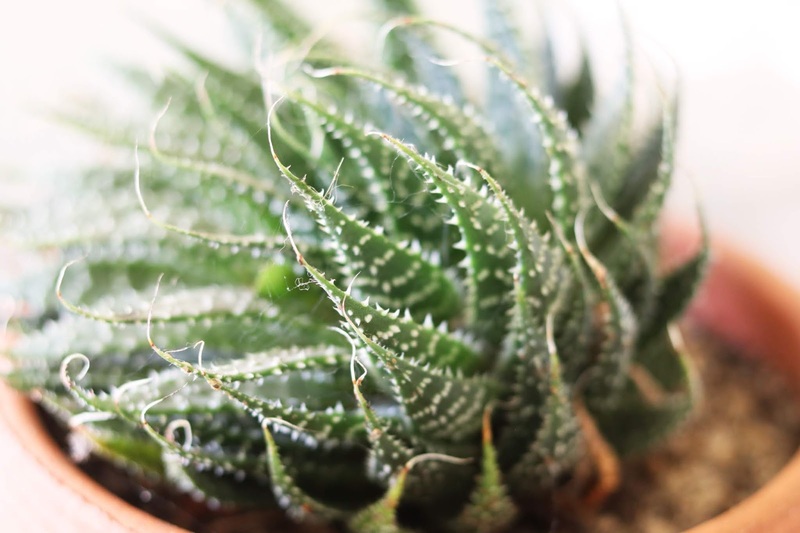 From the multiple shades of green, spot on the plant, to the spiked edges and the pretty pale pot. It's just a beautiful combination and a great representation of this plant. 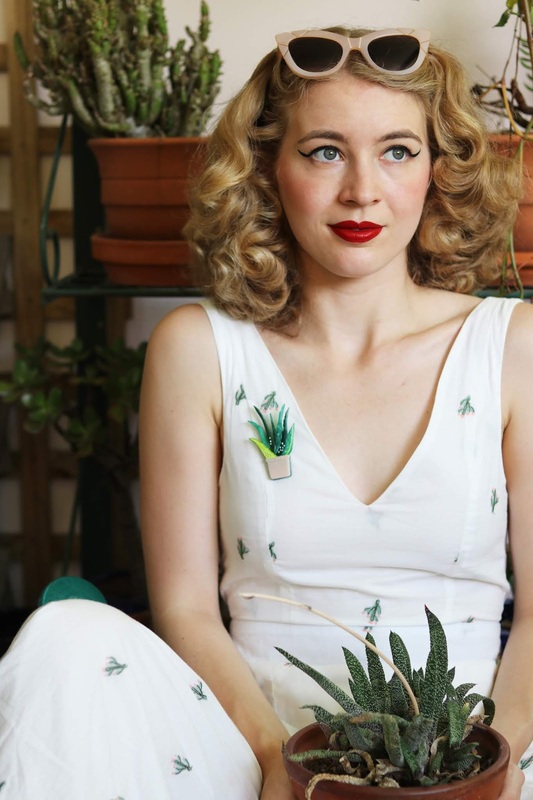 I also love it with my white jumpsuit, they both compliment each other perfectly. 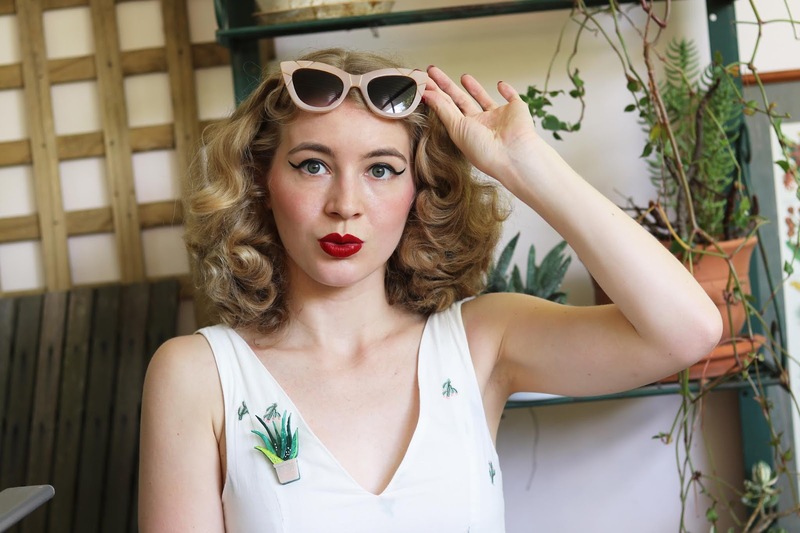 Be sure to head to the Erstwilder website to shop the new range, do you have any favourites? 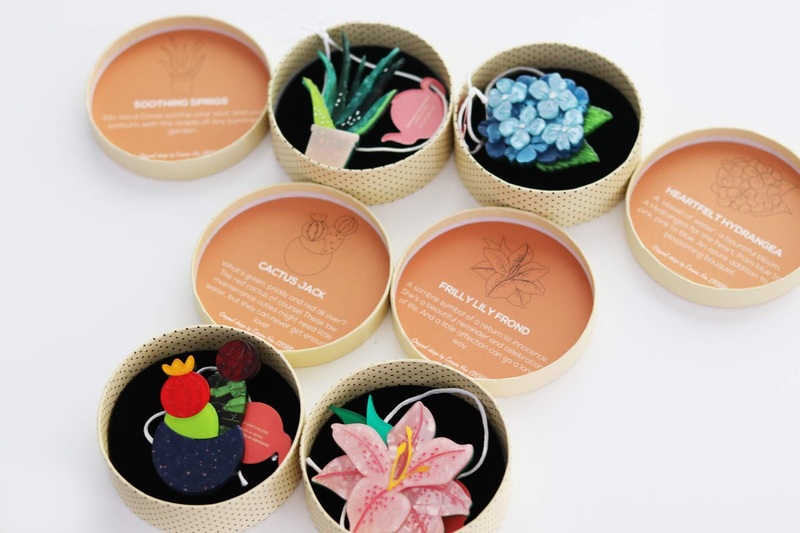 I wouldn't mind adding another houseplant and a pair of earrings to my collection. Erstwilder really outdid themselves with this collection, it is absolutely stunning and there is a great deal of variation and detail amongst this collection. 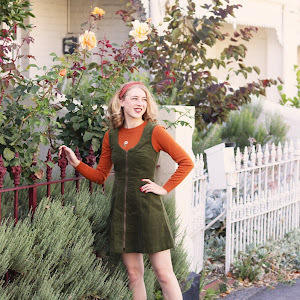 This collection is SO CUTE and I especially love seeing all of them on you!